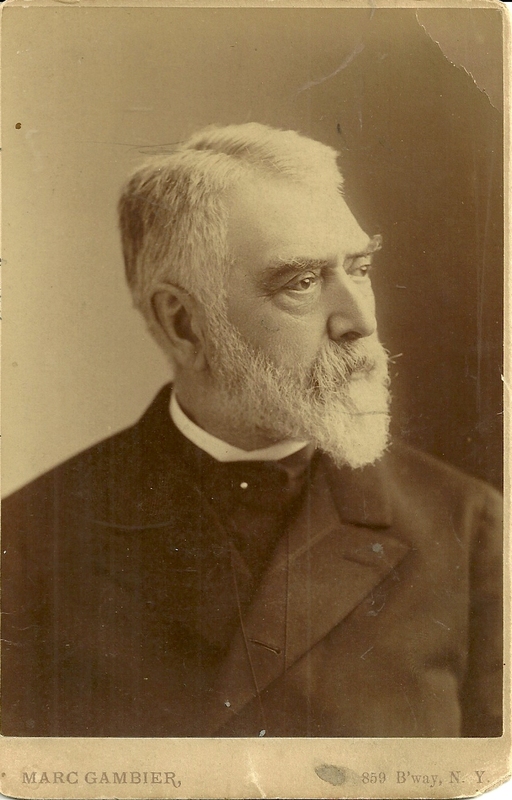 Cabinet photograph of Dr. George E. Belcher, taken by the Marc Gambier studio of 859 Broadway, New York City. 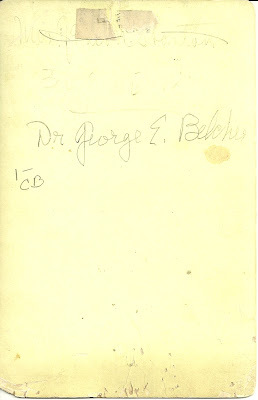 Dr. George E. Belcher was born 7 February 1818 in Horseneck, now Portchester, Connecticut, the son, I think, of Dr. Elisha Reynolds Belcher and his wife Esther Rebecca (Knapp) Belcher. 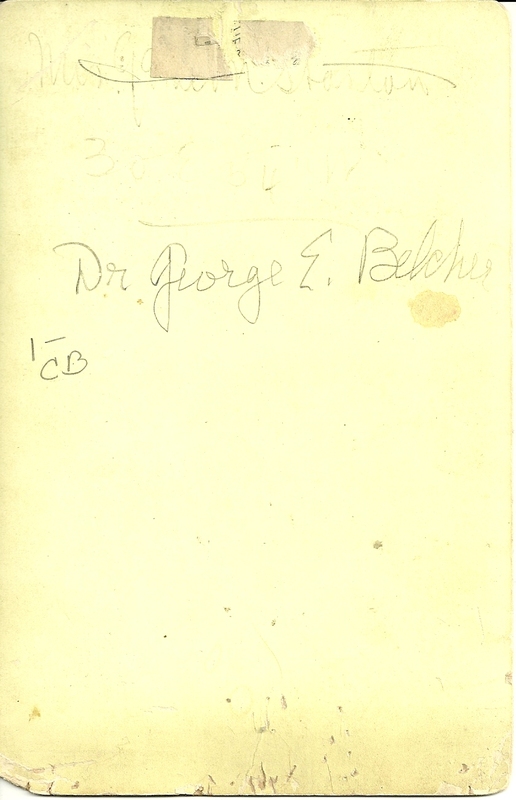 His paternal grandparents were Dr. Elisha Belcher and his wife Lydia (Reynolds) Belcher. His maternal grandparents were William and Esther (Isaacs) Knapp. On 5 April 1844, Dr. George E. Belcher married Elizabeth R. Harper, who was born 8 September 1827 in New York City, the daughter of John Harper. They had at least two children, Elizabeth B. Belcher, born 1852, and George Harper Belcher, who was born in 1858 and died in July of 1894. The Belchers were a family of many physicians, and the daughters in the family line tended to marry physicians.